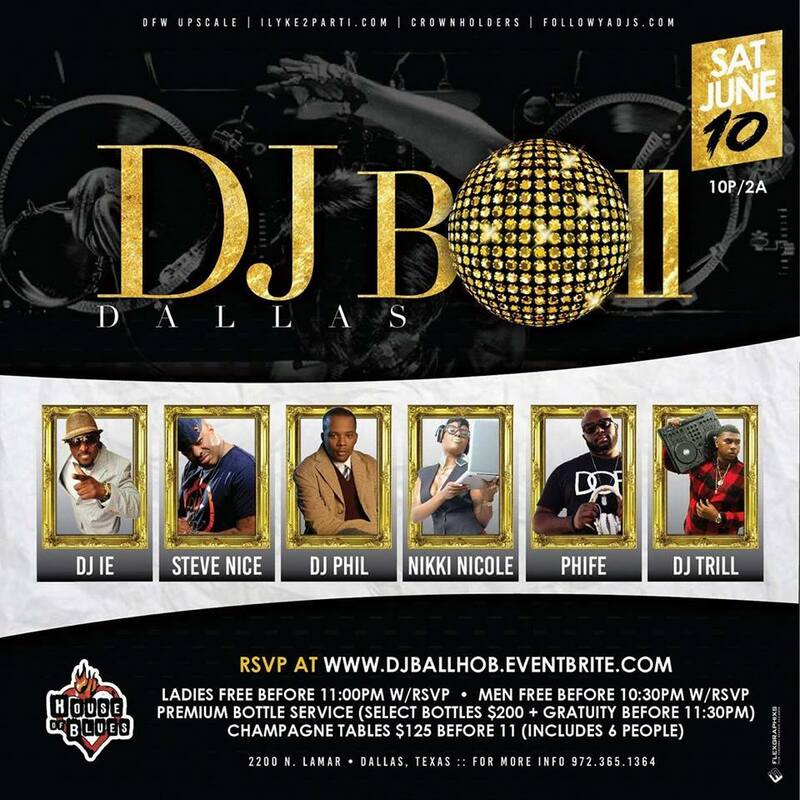 Saturday June 10th we bring you an event like no other… DJ Ball Dallas..
Come witness some of the top DJs in the DFW provide a musical soundtrack of Old school, R & B, New School and Reggae. *Ladies FREE before 11:00 w/RSVP. *Men FREE before 10:30pm w/RSVP. *Premium bottle service (Select Bottles $200 + gratuity before 11:30pm). *Multiple Areas/Booths for your Lounging and Party Experience.